Houses line the Cleveland Street across from Lincold Park May 31, 2016. 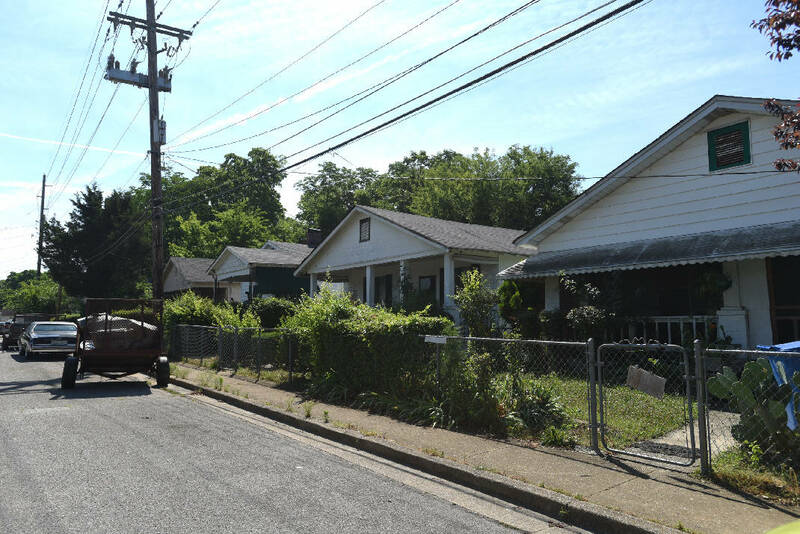 The Lincoln Park Neighborhood Association says it fears "aggressive gentrification" in the face of planned development near Erlanger hospital. 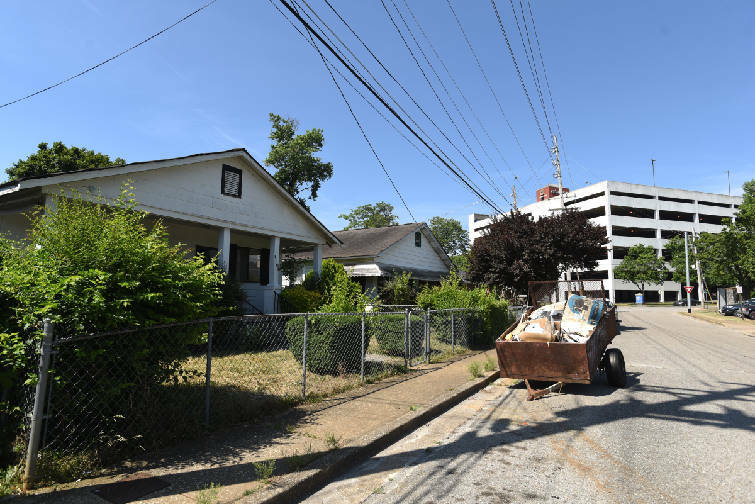 Knoxville developer Belle Investment Co. wants to transform a collection of office and vacant buildings at the corner of East Third Street and Central Avenue into a facility of an estimated 220 residential units and ground-floor parking and commercial space. The building could be as tall as eight stories and is adjacent to the community, according to planning records. The company says the building is a $45 million to $50 million investment. On Tuesday, the City Council voted 9-0 to approve a zoning request that will allow the development to take place. In an address to the council, association secretary Tiffany Rankins told members they have been dismissive of the high percentage of renters who call Lincoln Park their home. "We are worried that the residents of Lincoln Park will be priced out of their homes," Rankins said. "We are worried that the historical significance of our neighborhood is being ignored." Rankins asked the council to support a historical zoning overlay and other measures intended to protect the residents from gentrification. Several council members said they would explore possible protective possibilities for Lincoln Park. Ken Defoor, who owns the property, described the proposed development as "a beautiful situation about to happen" and a benefit to the neighborhood. More residents will also increase security, Defoor said, citing problems with homeless people taking shelter on the current site. The development can only raise neighborhood property values in the future, he said. "This is a very good neighborhood," Defoor said. "I personally tried to buy the entire neighborhood two or three years ago." Rankins described Defoor's comments as arrogant. Belle Investment President Travis Fuller said that his company plans to install a commemorative plaque concerning the historical biography of the Lincoln Park neighborhood on or near the property. Contact staff writer Paul Leach at 423-757-6481 or pleach@times freepress.com. Follow on Twitter @pleach_tfp.